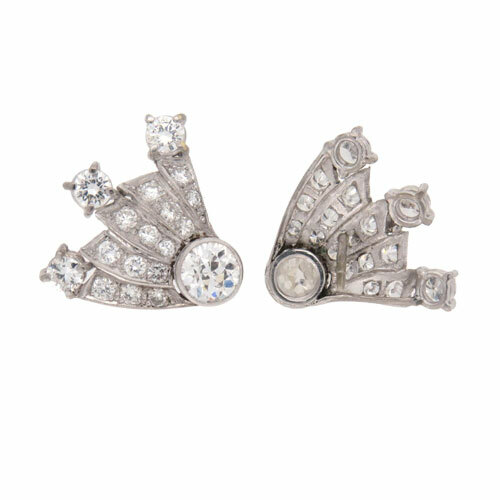 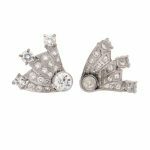 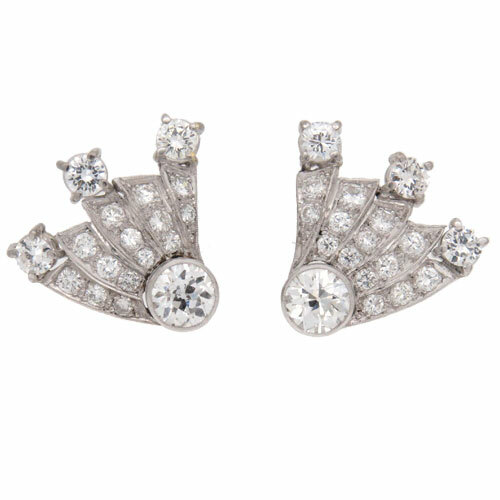 A stunning pair of Art Deco diamond stud earrings in the form of a comet. 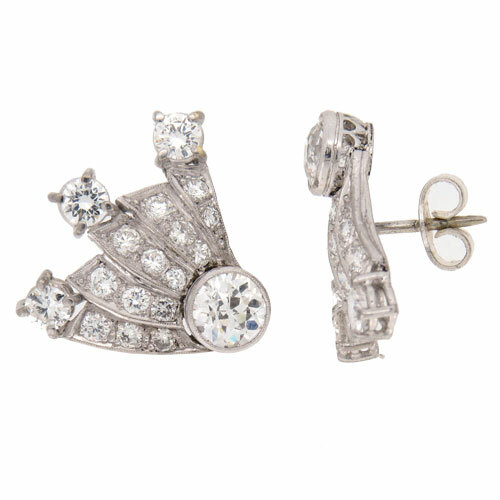 Comprising a total of 30 part cut diamonds and 8 full brilliant cut diamonds. 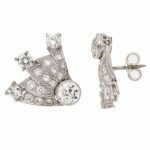 Millegrain setting tested as 18 carat white gold with post and butterfly fittings.